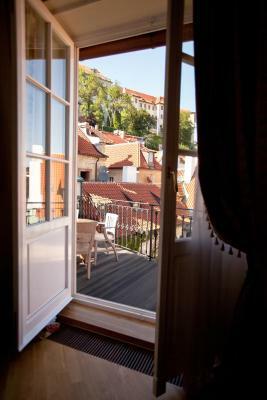 Lock in a great price for Alchymist Prague Castle Suites – rated 9.6 by recent guests! The location and staff were wonderful. Beautiful room off the library. 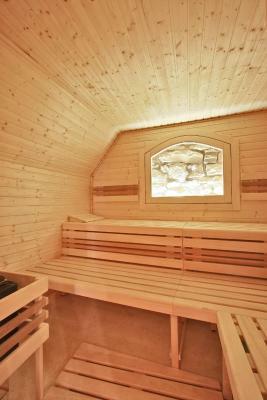 Excellent sauna. Good breakfast. Overall wonderful experience. The location, the staff was friendly and very helpful. The hotel itself was spectacular and not in the middle of the tourist chaos. 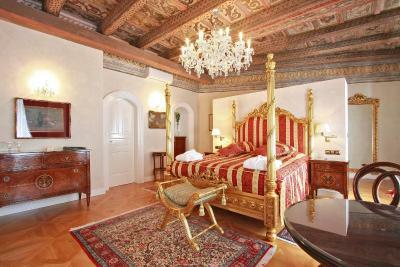 Very elegant and comfortable rooms and common areas to relax. The staff, especially Matthew, is amazing. Very friendly, attentive and provided excellent recommendations for touring and eating. 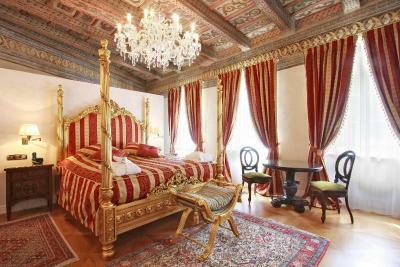 Beautiful hotel and in a great location at the base of Prague Castle. 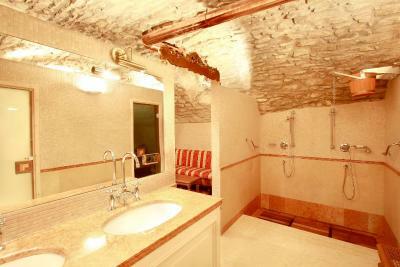 Large room with great bed and large bathroom with a tub. Best part of the room was the terrace with views of part of the castle. Hotel is very quiet on a quiet street near embassies. Breakfast was good with lots of options. Staff were very friendly and helpful. 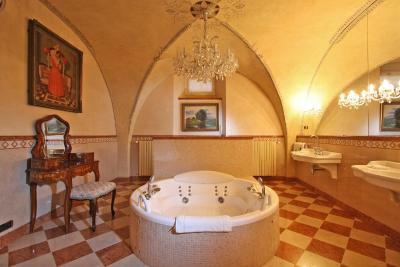 They have two couples jacuzzis that you can book for free as part of your stay. They had Champaign, strawberries, and candles waiting for us in the jacuzzi room. Massage prices seemed reasonable. 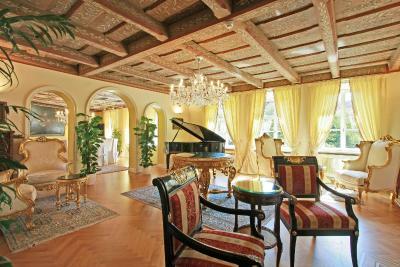 There is a wine and cheese hour with a private piano player each day which is really nice. Breakfast buffet each morning included. 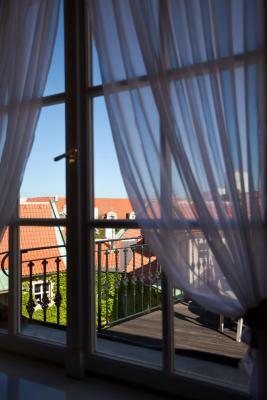 Fact is, my wife and I eloped while in Prague and the staff was exceptional in helping my wife get ready. They had a private car for hire to take her to the church as well. In a country with some poor attitudes and customer service, they were outstanding. Attentive and caring. Very impressed with the whole experience. 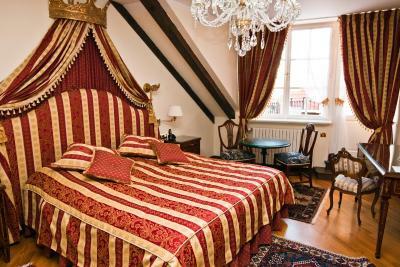 The Alchymist Prague Castle Suites is an amazing hotel to stay in when in Prague, especially if you’re there for a special occasion. 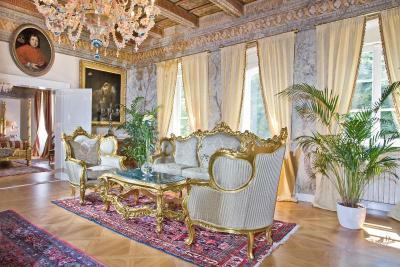 The property itself is of highest standard and the service is impeccable! 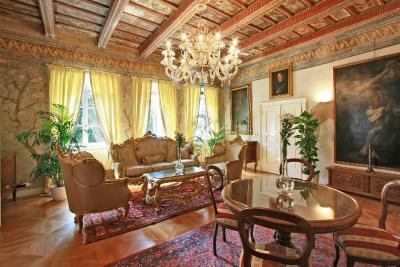 Charming, intimate property in an elegant area just below the castle (which is quite a hike, so take the tram up and the stairs down). 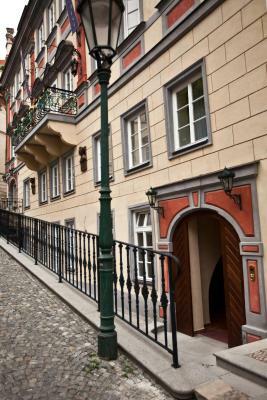 Prague's Old Town gets a massive tourist influx, so this quiet little area is a particular pleasure. Extremely pleasant staff. Very nice breakfast buffet. 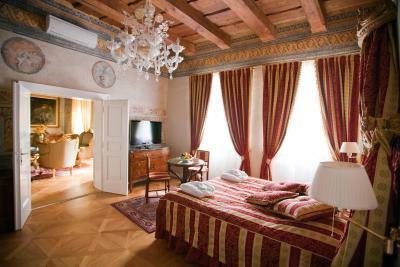 We had one of the larger rooms, which came with an enormous bathroom and spacious closets. Absolutely beautiful hotel. Staff completely went above and beyond to make sure we had the best possible experience, from dinner reservations and suggestions to a fresh espresso while we waited for our car to arrive. Location was great. Very friendly and sincere staff. The attention to detail was super! 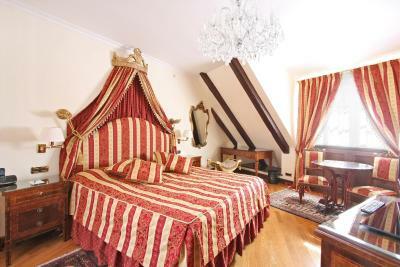 Very spacious room and tastefully decorated. It was a great stay. 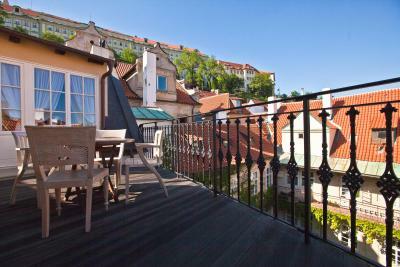 Alchymist Prague Castle Suites This rating is a reflection of how the property compares to the industry standard when it comes to price, facilities and services available. It's based on a self-evaluation by the property. Use this rating to help choose your stay! One of our best sellers in Prague! 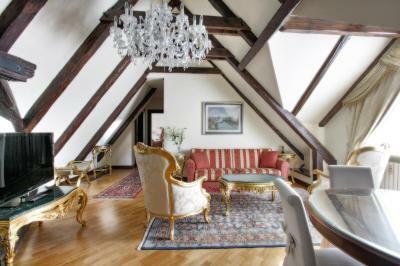 Located at the foot of Prague Castle (1,300 feet away) in the Mala Strana district, this historical building offers spacious rooms with hardwood floors, vaulted ceilings and luxurious furnishings. Free Wi-Fi is provided. 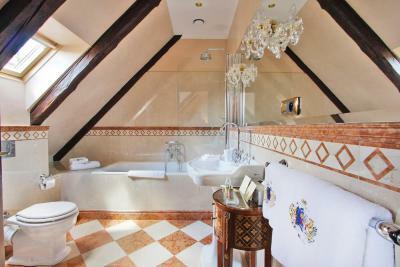 All rooms feature marble bathrooms with Italian fitting following an original 1930s design. 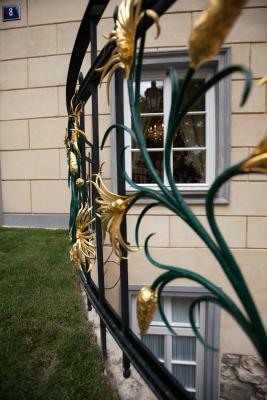 They overlook the historical square in front of the residence, the green hills of the Petřín gardens, even Prague Castle. 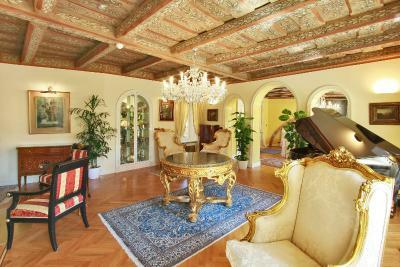 All are with air conditioning, a flat-screen cable TV, coffee and tea set, safety deposit box. A complimentary welcome drink is also provided. 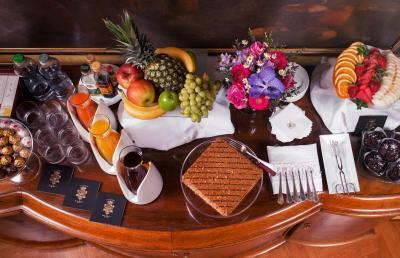 Breakfast is served in the morning and dining is possible in the sister Aquarius Restaurant. 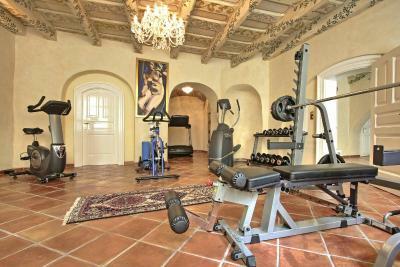 Other services offered by the property include a butler service and a 24-hour front desk. Daily wine and cheese tasting can be enjoyed in the lobby between 17:00 and 18:00. Alchymist Prague Castle Suites houses a gym, a sauna and a hot tub, and guests can unwind in the lounge area and the library. The lush castle gardens are within a few steps from the Alchymist and guests can stroll around Prague's historical center. The famous Charles bridge can be reached in 5 min walk. 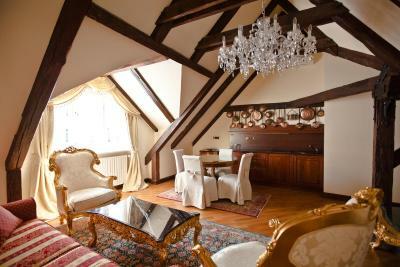 When would you like to stay at Alchymist Prague Castle Suites? Special little touches when designing the suites are employed in order to provide all modern amenities and yet keep faithful to the historic charm of the property. 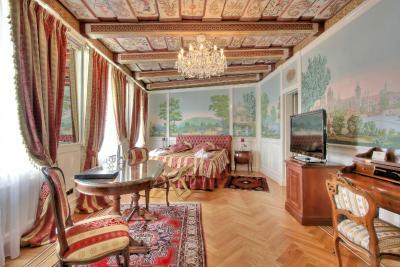 The queen size beds have been carefully positioned so that you can enjoy the very best views such as the historic square in front of the residence, the green hills of the Petřín gardens or indeed even Prague Castle itself. 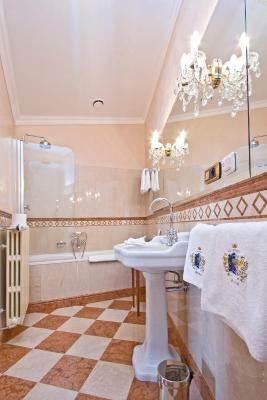 All the rooms feature superbly furnished marble bathrooms with specially designed Italian sanitary ware, following an original 1930s design. 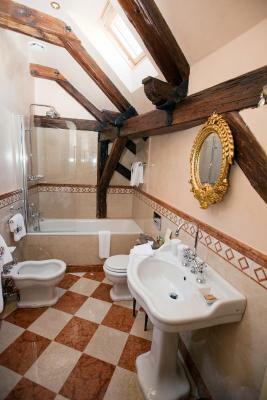 House Rules Alchymist Prague Castle Suites takes special requests – add in the next step! 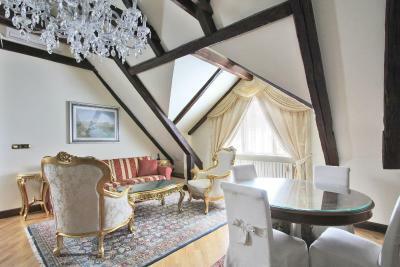 Alchymist Prague Castle Suites accepts these cards and reserves the right to temporarily hold an amount prior to arrival. 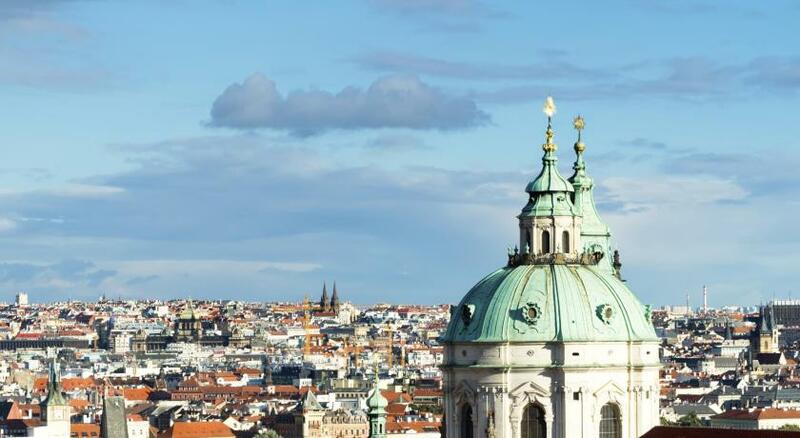 Guests requiring a confirmation for 'visa purposes' should contact Alchymist Prague Castle Suites and the hotel will forward it to the relevant embassy. The service from the staff was excellent. 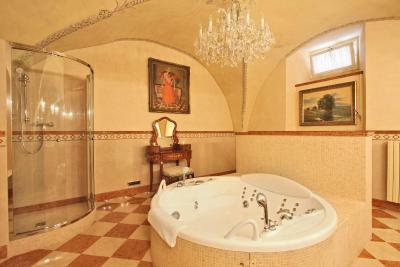 Nice free jacuzzi. 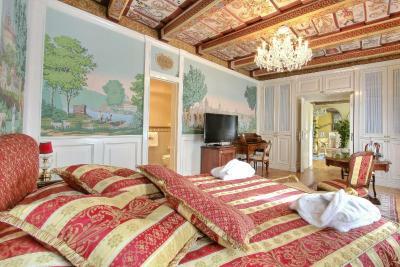 Very nice hotel and room decoration. Nothing was special really .. expected more. There's nothing I've change in this place. Everything is on its perfect place. One of the most beautiful places ever. I highly recommend it to everyone, it is a once in a lifetime experience, lovely staff, extremely luxurious and it makes you live a fairytale. Hot water didn’t work the first day, but the problem was fixed within 1-2 hrs. We were sure what to do with the butlers. I wish we had more of an explanation of what they could do for us; i feel like we underutilized them. We probably paid more for the Butler service but I didn’t get a lot of value out of it. Expect crowds in August, but the hotel is located on a very quiet street just at the base of the castle. 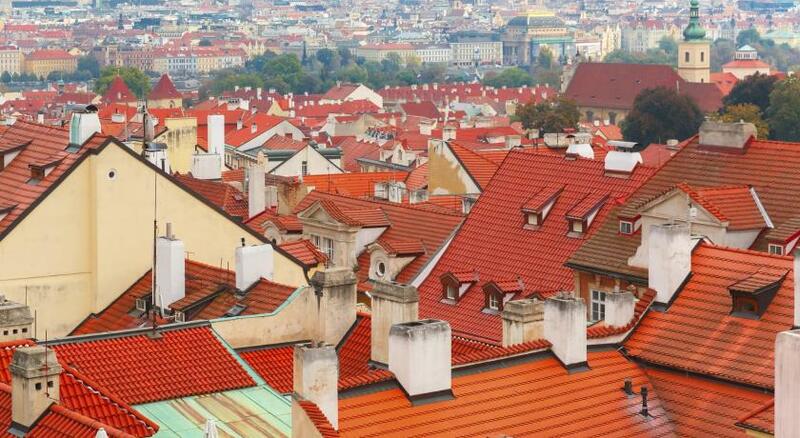 A 4-5 minute walk brings you to bustling Mala Strana Square close to the most popular Charles Bridge.